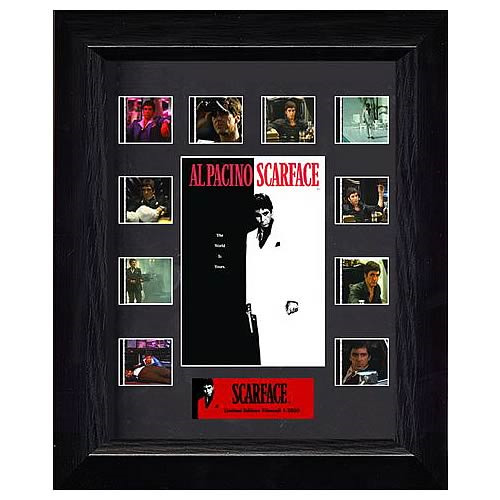 The Scarface Series 3 Mini Montage Film Cell features the title character, Tony Montana, on the film's poster. This great image is framed alongside a real film cell from the movie and the film's logo. Surrounding the picture are 10 film cells in a montage design. This item comes with clips of 35mm film cell in a beautiful black ash effect frame with a stunning sublimated plaque and certificate stating authenticity.